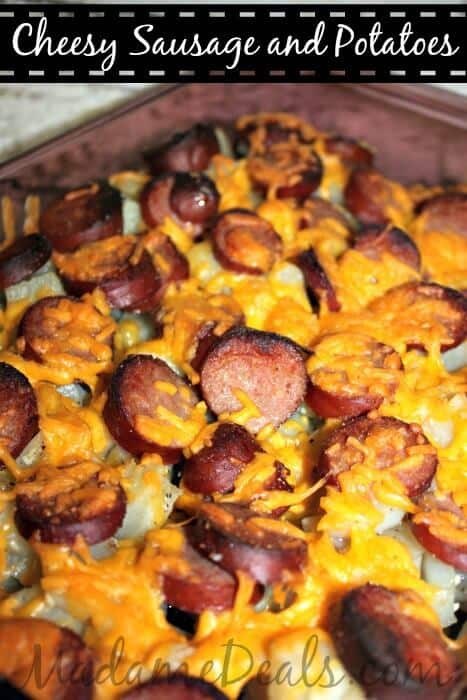 I always love thinking up new easy recipes for me to cook for my family, and this cheesy sausage and potatoes recipe is super easy to make and oh-so-yummy. Or so I was told. I am currently on Nutrisystem so I was not able to eat it! But just because I am on it doesn’t mean that the rest of my family doesn’t have to eat, and I still cook for them every night. 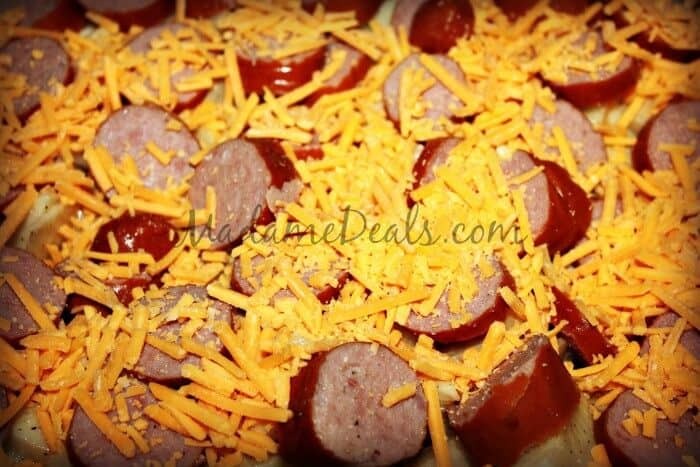 This recipe was a big hit with my husband and my husband and my 6 year old! And it only took me about 10 minutes of prep time, and 30 minutes in the oven! 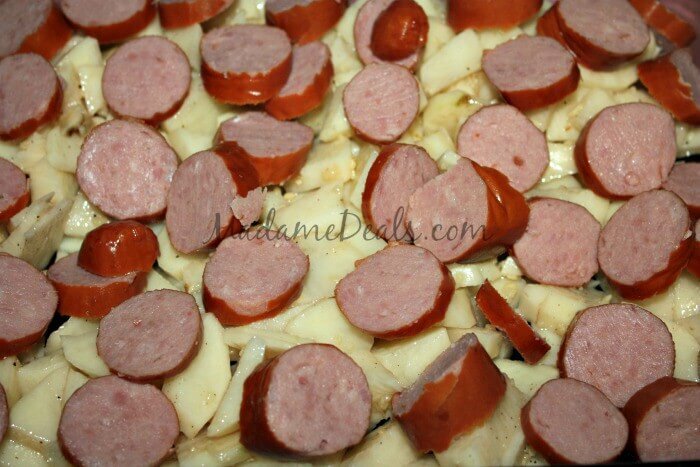 Next, Cut up your sausage into slices and pour on top of your potatoes. 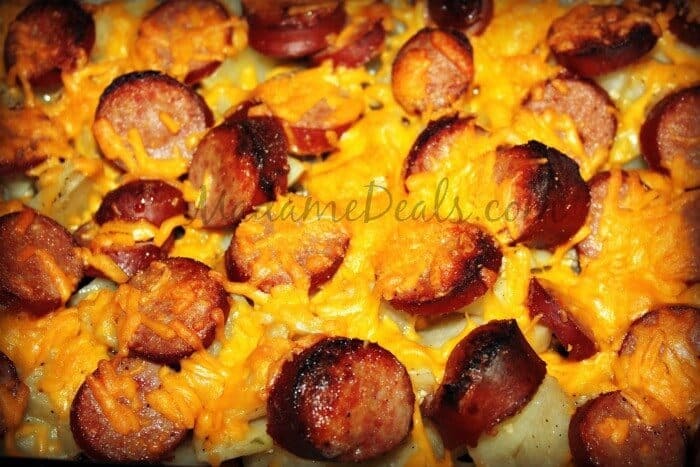 Then, Add in your cheese on top of the potatoes and sausage. Bake for 30 minutes at 400 degrees (F). 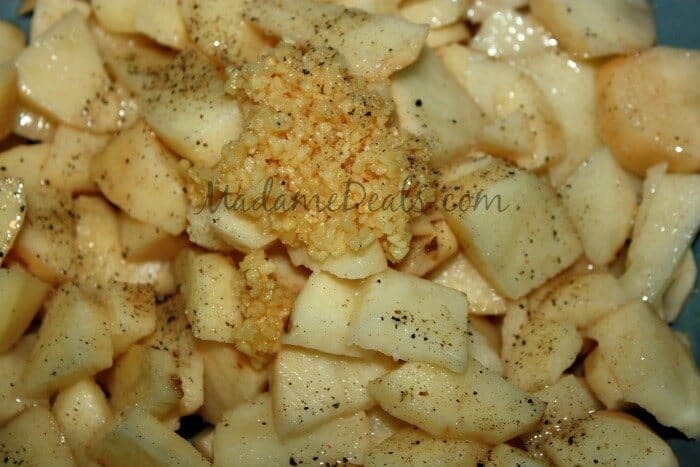 Finish, buy sprinkling some more salt and pepper and serve hot. Easy, fast, and yummy! Perfect for a weeknight dinner!